Extend the reach of your Norstar® system to different floors or different buildings. The Mod-EXTender extends features and functionality of a central Norstar PBX to a remote site, over Multi Mode fiber. Leverage existing Norstar® PBX infrastructure investments, centralize voice network administration, and enjoy dramatic monthly telecom savings with Citel’s affordable, Mod-EXTender. You can connect a remote site 0 X 16 Norstar® shelf over Fiber, back to the main Norstar®. This allows you to connect up to 16 standard 2 wire digital phones into the 0 X 16 shelf, at the remote site. These phones, (7310, T7316, T7208, etc) will work exactly as if they are connected to the Norstar®. This greatly saves the cost of adding telco lines, and installing another PBX, and increases efficiencies by having the main and remote site all operate as one Norstar® phone system. Since it’s all in one phone system, voice mails can be transferred, calls transferred, internally. The take away is greater efficiency, and cost savings, compared to installing a Norstar® at the remote site. Citel’s Mod-EXTender is plug and play. No configuration is required. For campus environments where a 0 X 16 shelf is needed at the remote site, the Mod-EXTender is what you need, to cost effectively EXTend a 0 X 16 shelf to a remote location. The Mod-EXTender uses multi-mode fiber, and uses ST connectors. The distance of the fiber is 1.9 miles, or 12 db of loss. Extends the reach of Norstar® Station Modules over 1.9 miles. Allows expansion of older 8 x 24 modular Norstars®. Allows sharing of system features and peripherals. 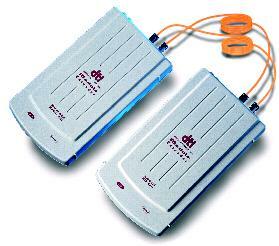 Increases reliability and helps control wiring costs. Interoperates with BCM and Norstar®. Users up to 1.9 miles from the KTS get fully featured digital sets and all corporate KTS features and applications. Unified system approach provides a more efficient use of network resources. Simplifies troubleshooting and maintenance by providing a common network access point. No costly specialized devices for loop protection required. Cost savings from reduced wiring requirements. Single remote locations, or up to 10 remote locations in a star configuration.